Growing at 7% per year, ecotourism is the fastest rising tourism segment. Millions flock to secluded areas of the world blessed with unique faunas each year, be it diving to see the coral reef, diving in shark water, forest trekking through national parks and so on. Tourists and guides alike claim activities are undertaken responsibly and sustainably, with minimal impact on the environment. 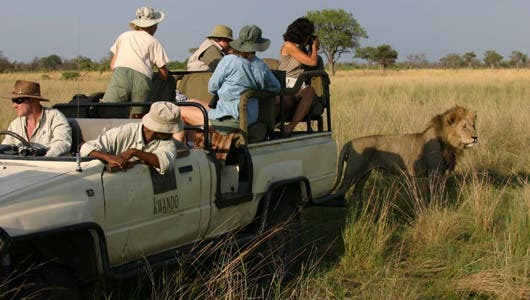 After looking at 100 studies on animal behaviour, however, researchers found that animals in protected areas where ecotourism is practiced become more benign. Bears, elk, even sharks become more comfortable with humans and regularly filch food from visitors. As such, these can’t be considered wild animals anymore and their safety is endangered seeing how they leave their guard down for predators or human poachers. “These animals become more blasé about everything,” says Daniel Blumstein, a study co-author and chair of ecology and evolutionary biology at the University of California-Los Angeles. For instance, vervet monkeys have fewer run-ins with predatory leopards or elk and pronghorn antelope change their grazing patterns moving closer to areas known to harbor human activity. Where there are humans, there’s food a plenty. Over time, the characteristics of whole species change. Blumstein says that ecotourism has effects comparable with urbanization or domestication. “If individuals selectively habituate to humans – particularly tourists – and if invasive tourism practices enhance this habituation, we might be selecting for or creating traits or syndromes that have unintended consequences, such as increased predation risk. Even a small human-induced perturbation could affect the behavior or population biology of a species and influence the species’ function in its community.” Blumstein writes. According to the study, protected area receive a staggering 8 billion visits each year. It’s hard to believe tour guides can manage their visitors so well as to minimize interaction, and while visiting ‘raw’ nature is a great way to connect with your roots (and take some great pics with your iPhone), it’s also taming wild life. Blumstein hopes his results encourage colleagues to do more research that might tell us how various species respond to human interactions. Ecotourim, in theory, is a fantastic leisure experience. Consequently, it should not be restricted. But if the study’s conclusions are true – though mostly anecdotal – it’s important this kind of tourism sticks to its name and lessens its impact to a minimum – for real.